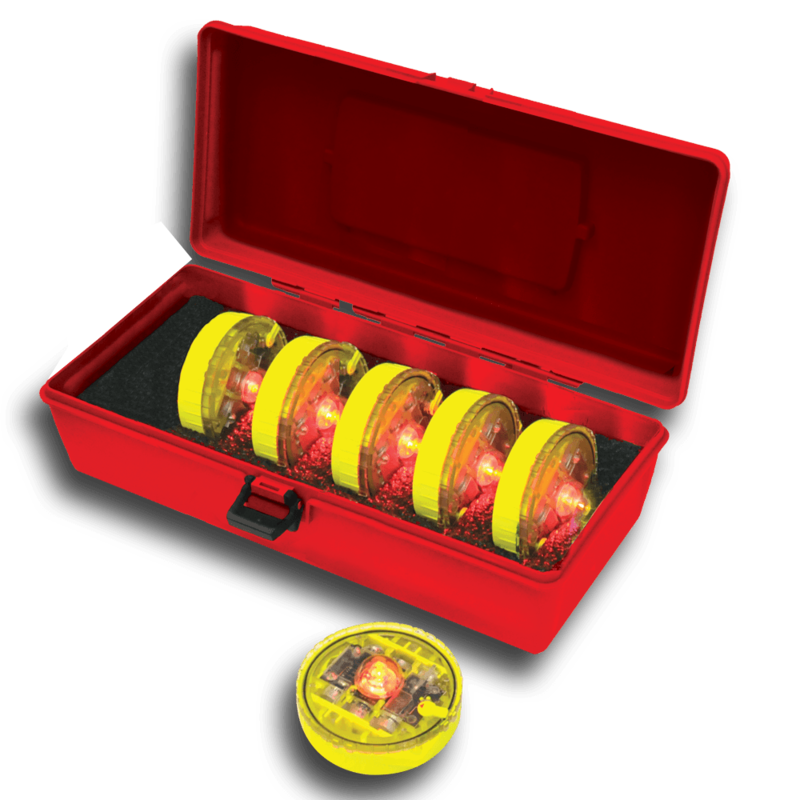 Model 9450 MightyFlare® Kit includes (5) Model MFBX LED Road Flares Disc Shaped Steady Beam LED road flares with High/Low Intensity modes and (1) Model MFAX Disc Shaped LED road flare having (5) Flashing Modes & (4) Intensity Settings in a Red Plastic Carrying Case. 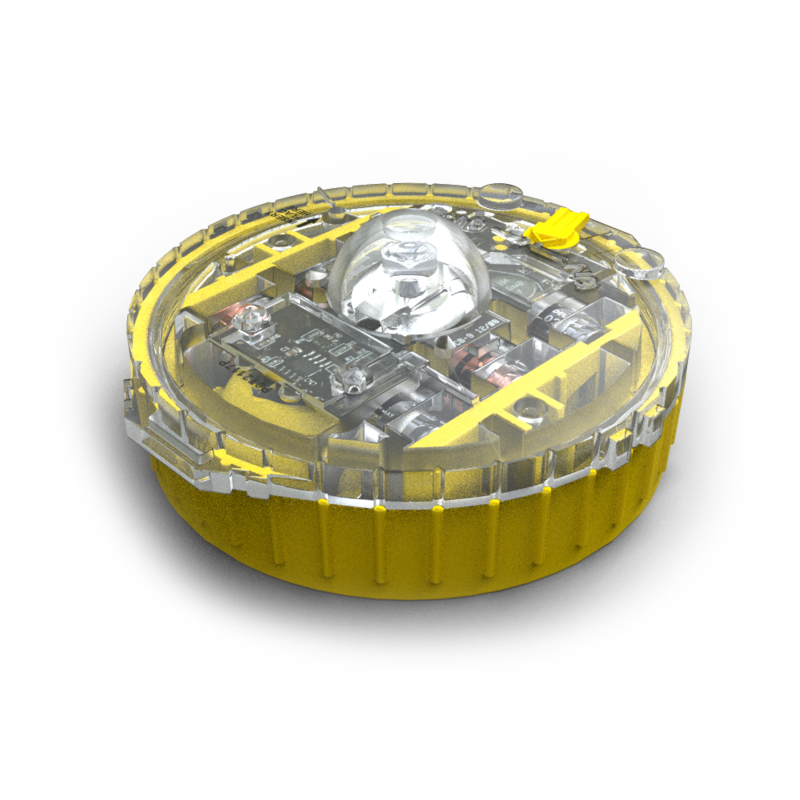 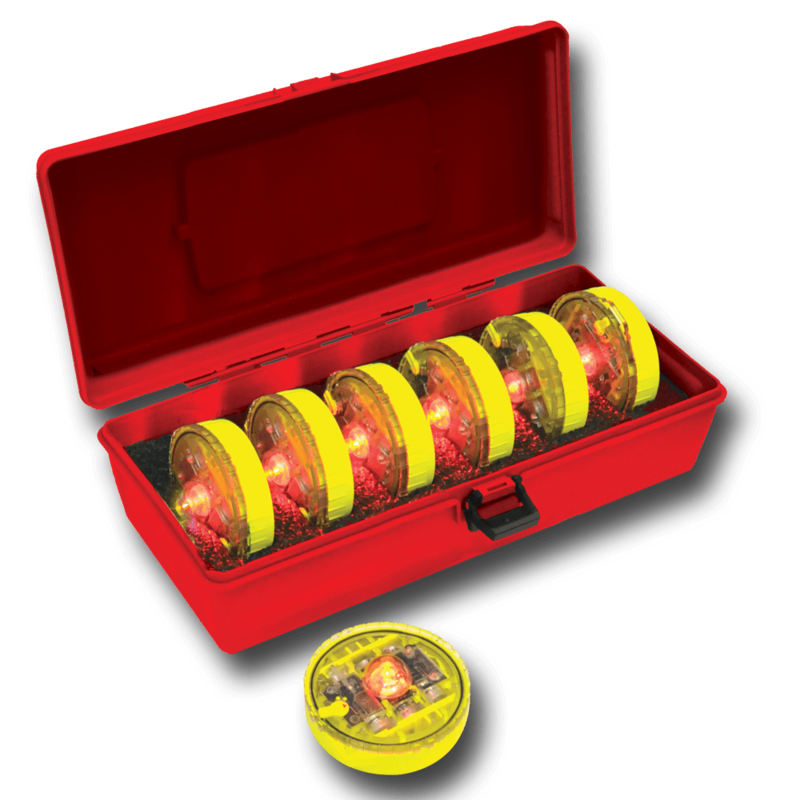 Flares include a manually operated switch and ''AA'' Alkaline Batteries. 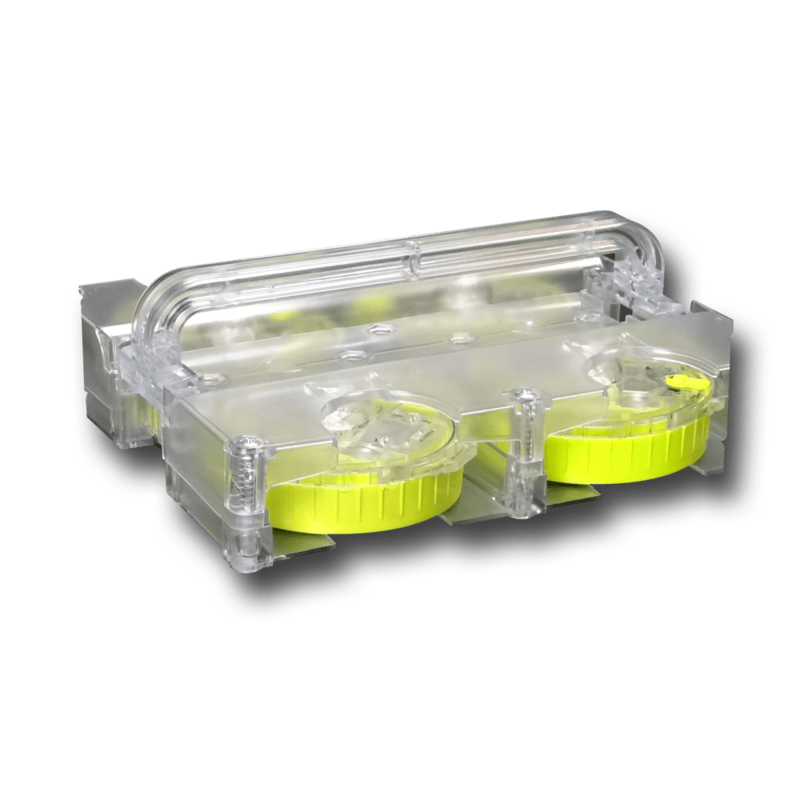 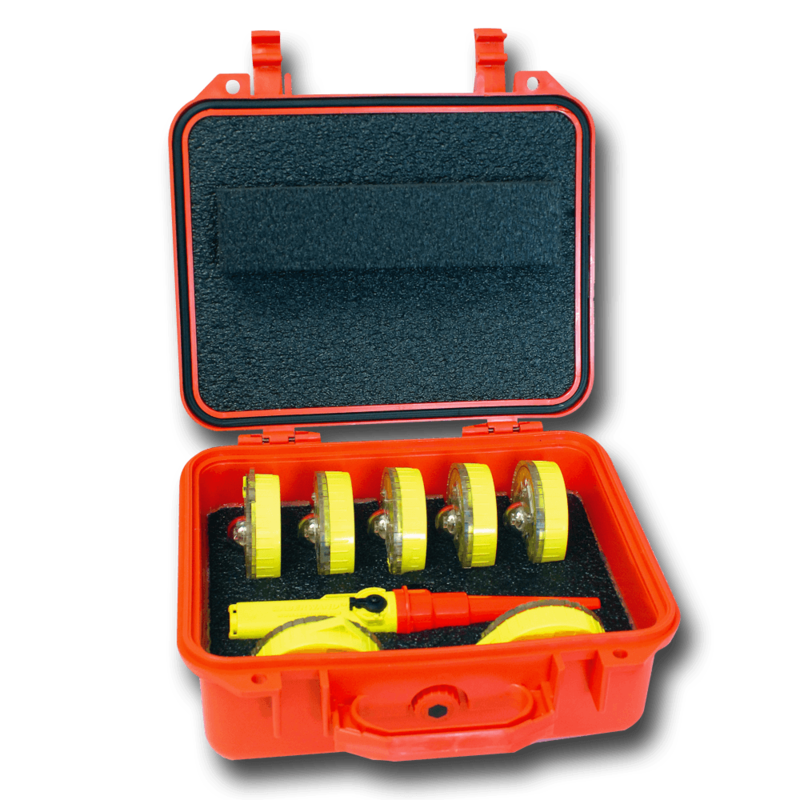 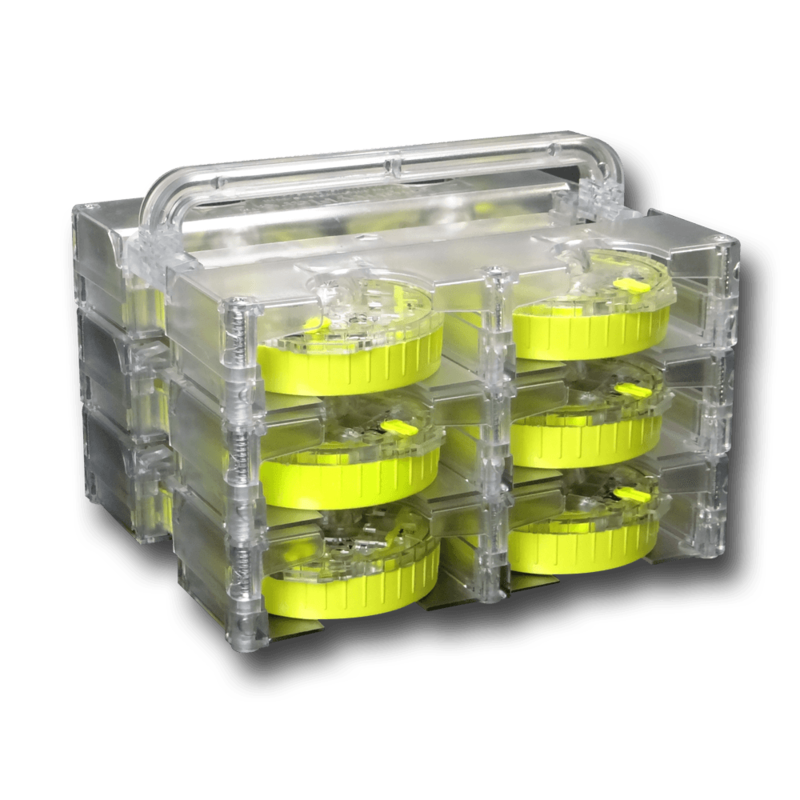 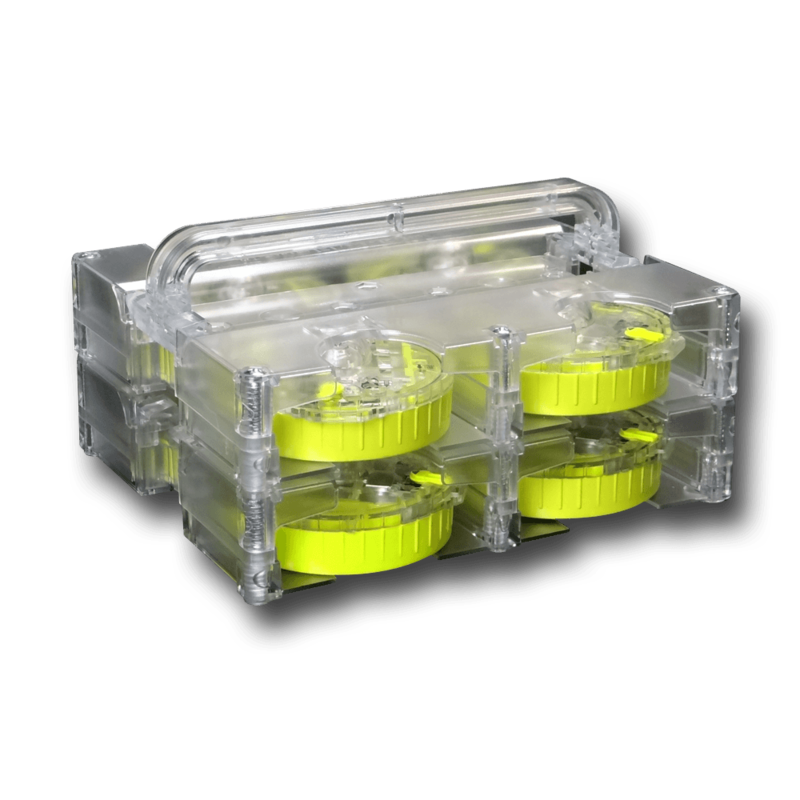 MightyFlare™ Kit includes (5) Model MFBX and (1) Model MFAX Disc Shaped Flashing/Steady Beam LED Road Flares in a Plastic Carrying Case.